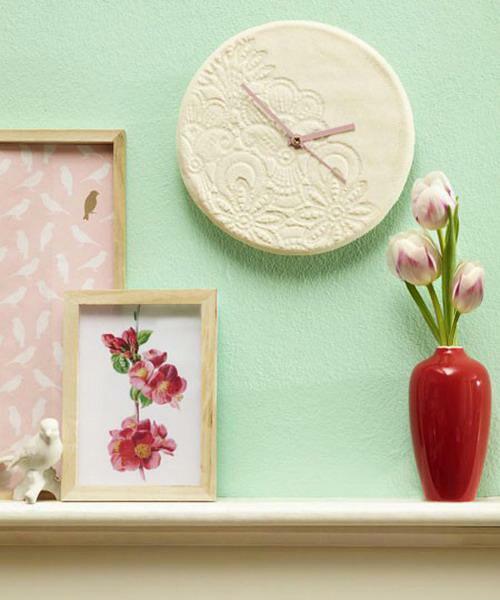 Spring decorating ideas, crafts and fresh painting allow to give a nice touch to home interiors and brighten up all your rooms. 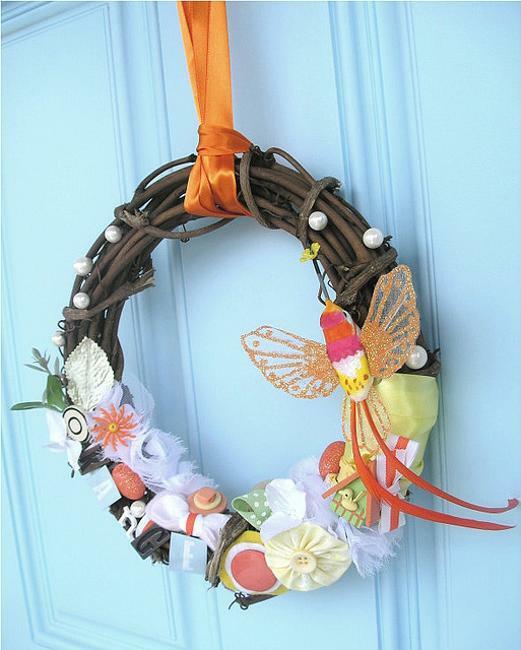 Small things, crafts and simple painting ideas make a huge difference transforming living spaces with spring inspired floral designs, butterflies decorations, colorful images of birds, and green leaves patterns. 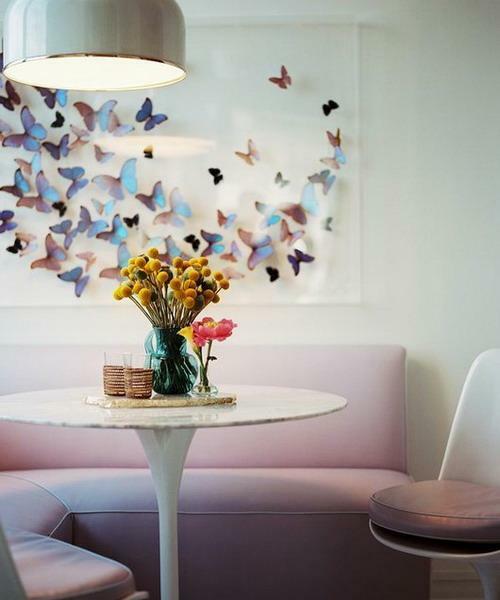 Spring decor ideas are about a light and playful feel, bright and tender colors. 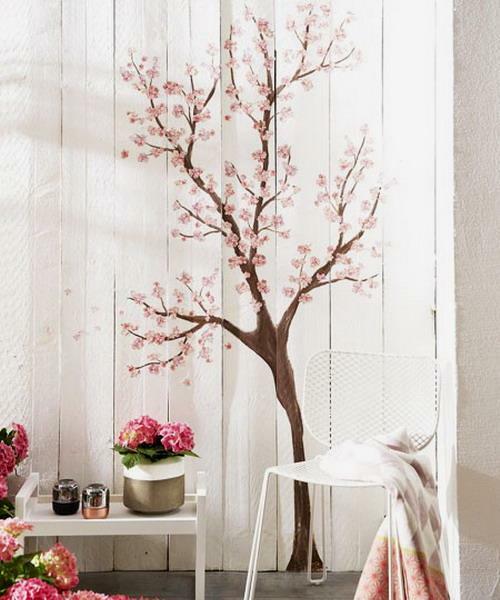 Blooming branches and beautiful flowers, butterflies made for decoration and images of birds which are inspiring and delightful are excellent ideas for spring home decor. Lushome shares a collection of attractive ideas that help create modern and beautiful homes in spring and summer seasons. 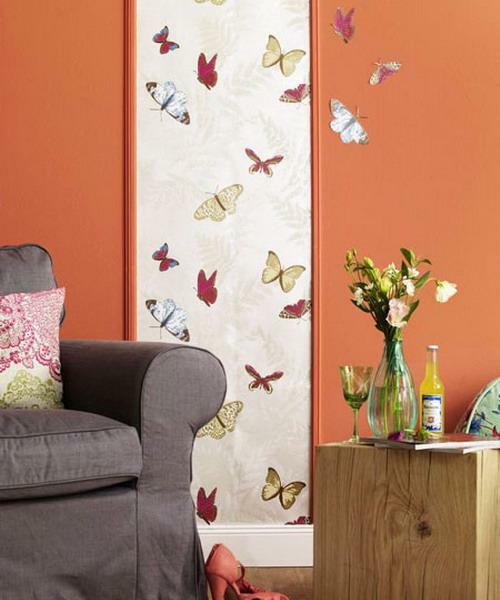 Fragile and mysterious butterflies, sunny look of light wall painting and fresh feel in your home are things that are great for any room decorating. 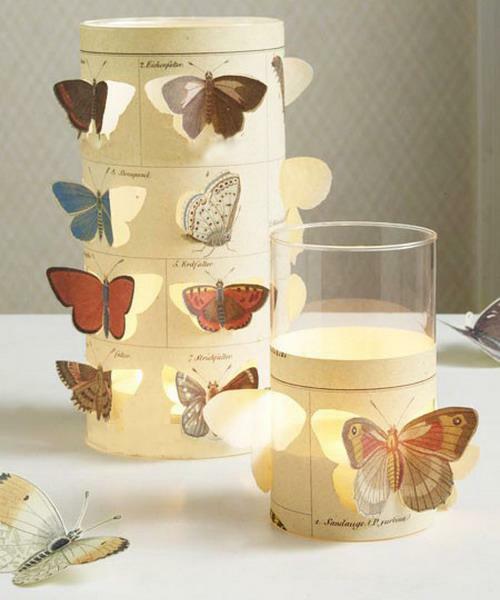 Images of birds and butterflies, patterns and prints with spring branches and beautiful flowers look charming on room furniture, window curtains and candle holders, and create gorgeous spring decor for your home. 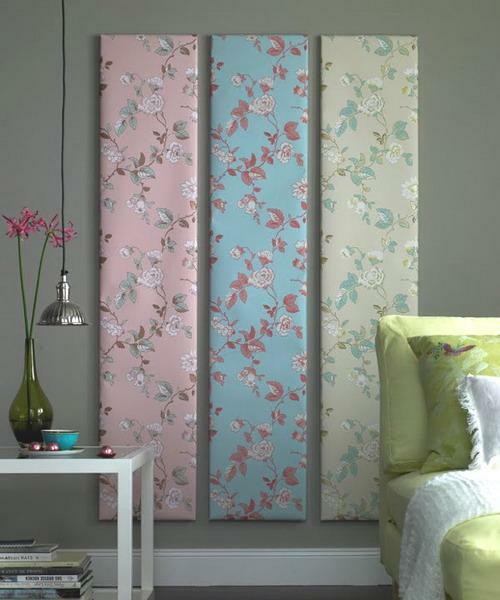 Decorating with wall panels are a great idea that helps enhance the spring spirit and personalize home interiors. 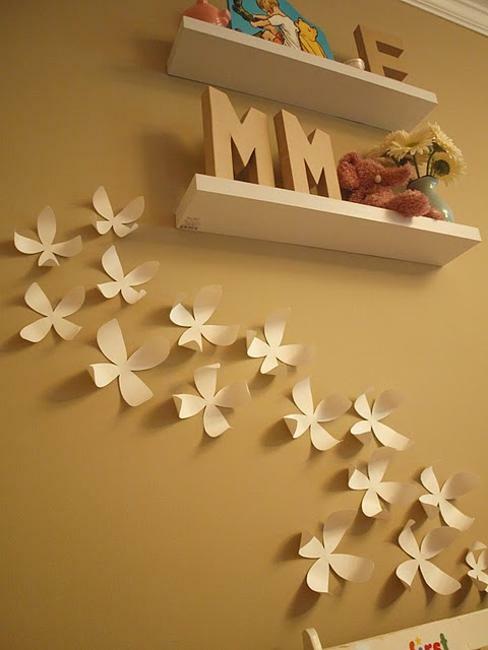 Decorative wall panels are simple craft projects that effectively change the way any room looks and feels. 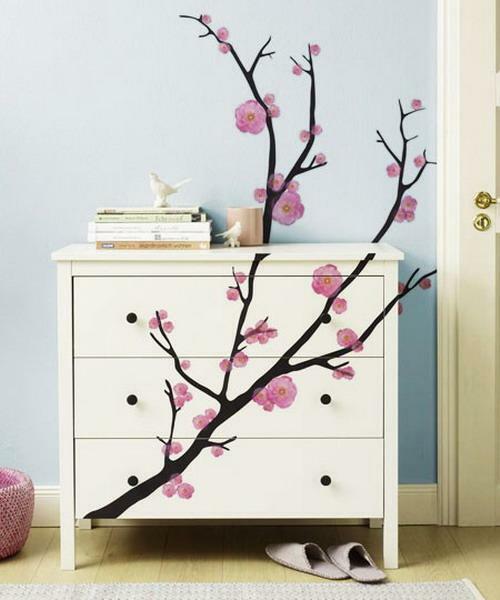 It is a nice way to add color, texture or floral designs to your room decorating, or bring blooming branches with birds and butterflies into your beautiful room. 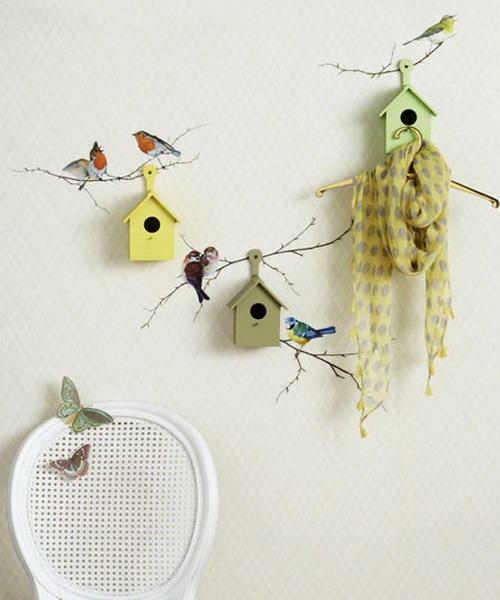 Spring decorating with vinyl wall stickers, wall murals and bright painting ideas creates beautiful accent wall design which can be enhanced by adding images of birds and butterflies for decoration. 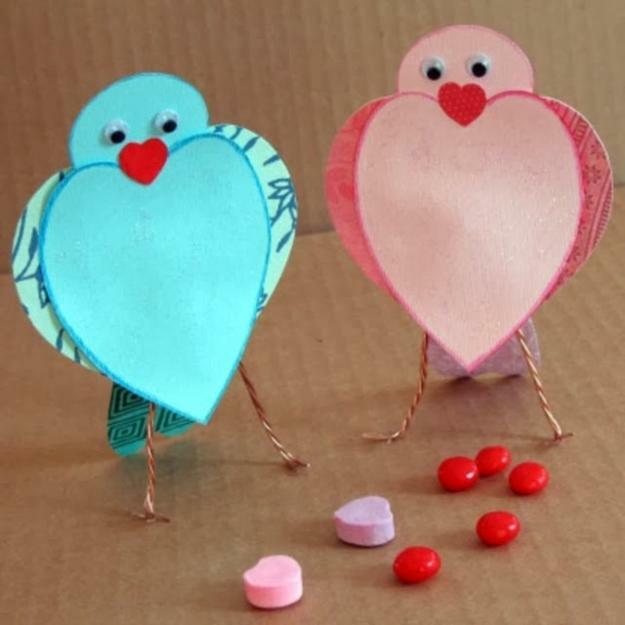 Photography art, images of birds, butterflies made for decoration and floral paper crafts are versatile spring and summer decorating ideas, suitable for any room and any interior design style. Local birds images or colorful images of birds that live in exotic countries bring warmth and charm of eco style into spring decorating and can spice up summer decorating ideas also. 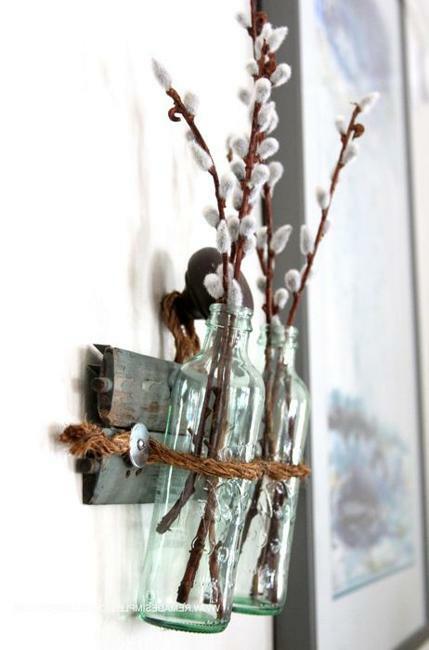 These wonderful decorations are very attractive and popular, especially for urban homes and city apartments. 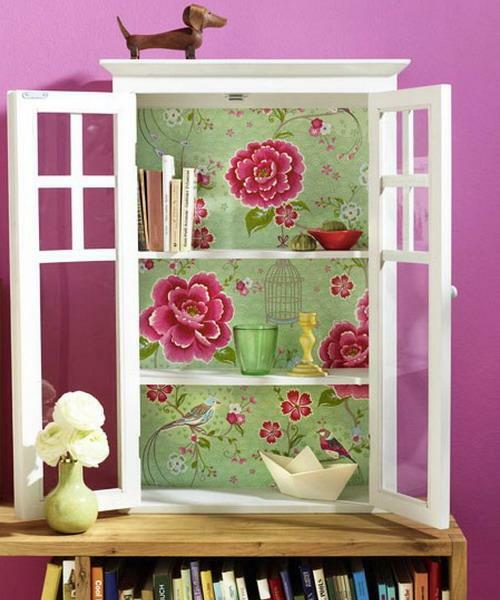 Spring decor ideas include birdhouses, bird cages, paper flowers, glass floral designs, birds figurines and paper birds. 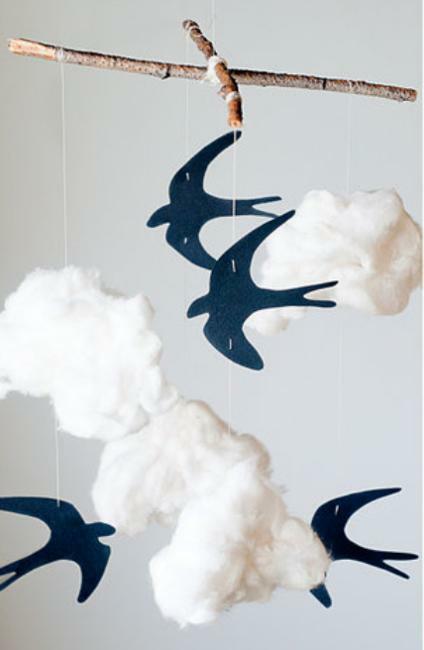 Nature awakens and render the world with bright colors, bringing creative and charming images of birds into homes. 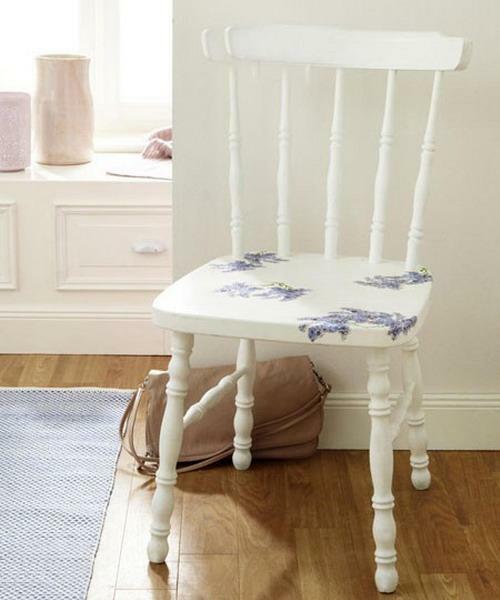 Beautiful flowers and floral designs are the perfect decoration patterns for spring and summer homes. 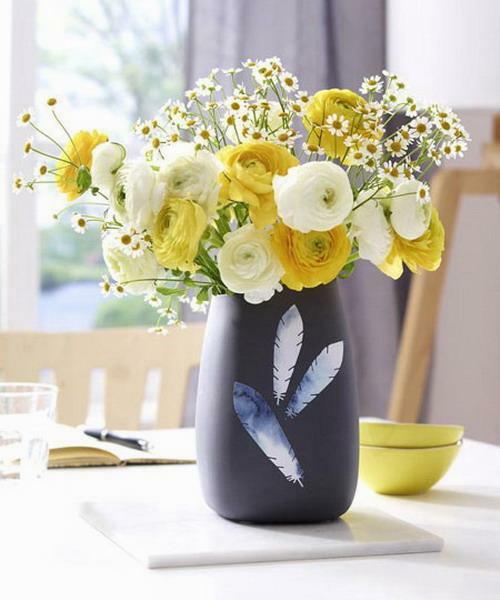 Vases with flowers can be complimented with painted images of birds or floral designs. 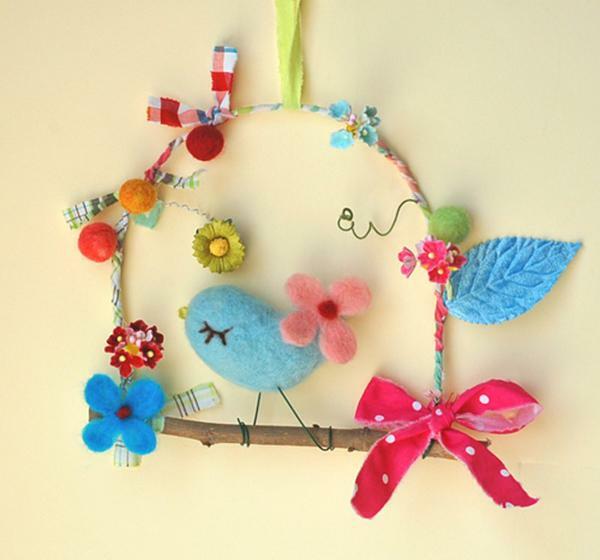 Bird feathers are another great materials for spring crafts and interior decorating. 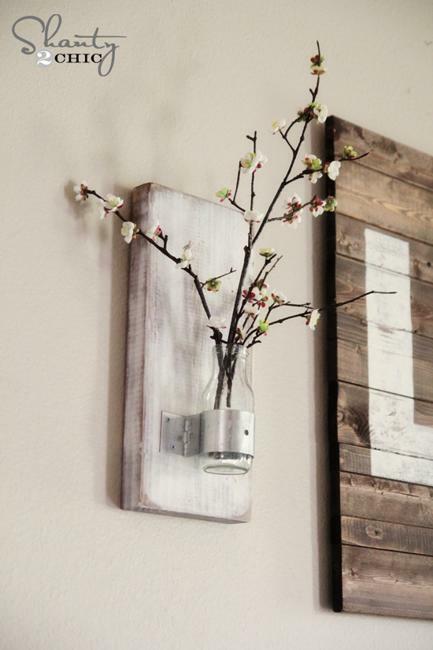 Blooming tree branches provide natural and eco friendly home decorations in spring. 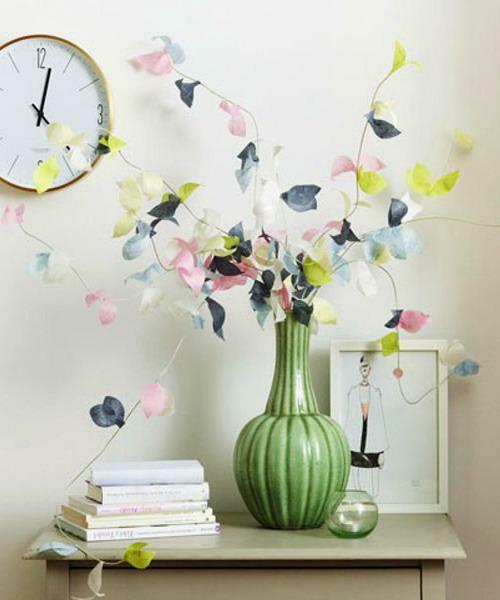 Buds and flowers are mysterious and amazing in spring, and the flowering plants can easily refresh interior decorating also. 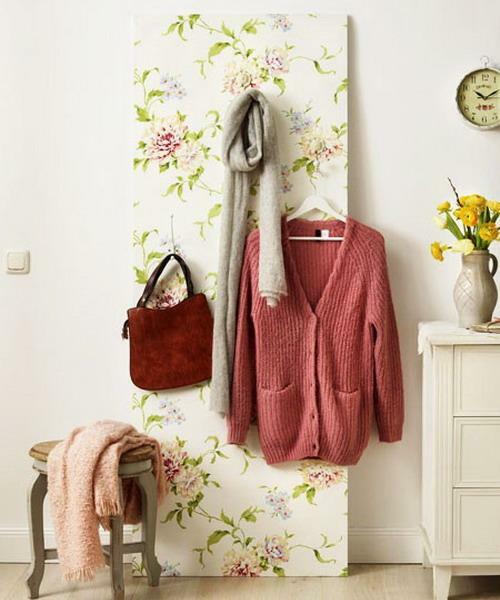 Wall stickers and wall murals, digital prints and black and white photography art, painting ideas and crafts that add blooming tree branches to any room are gorgeous interior decorating ideas which makes living spaces feel energetic and fresh. 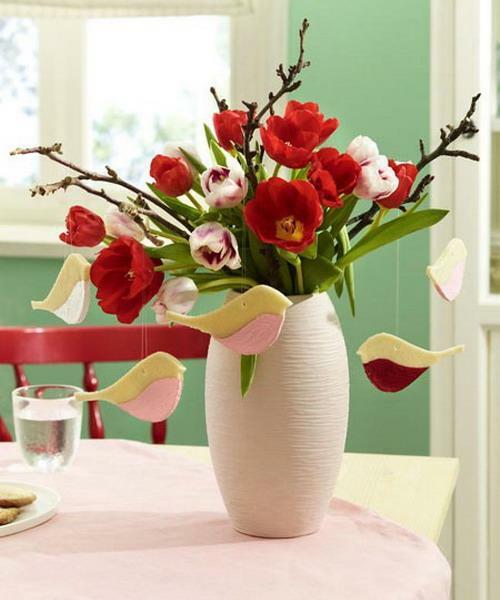 Floral designs, images of birds and butterflies made for decoration give a nice eco touch to any room and brighten up spring decorating.